What is the AngelMed Guardian System? 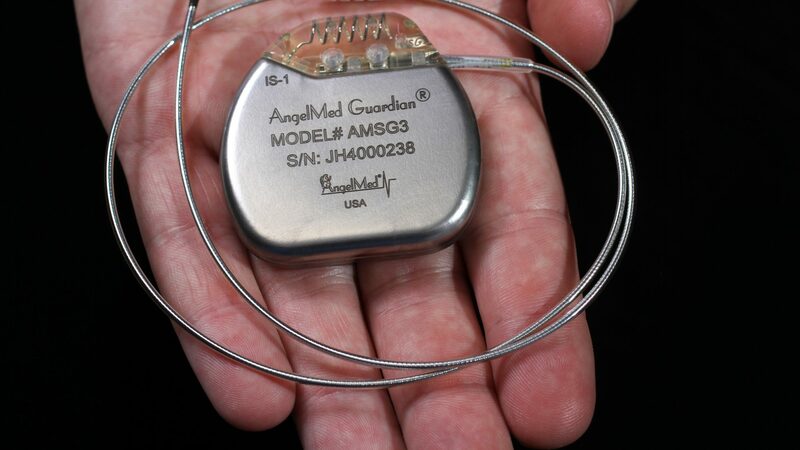 The inventors of the AngelMed Guardian® System recognized that it’s often difficult for people at risk of ACS events to know when they really need to seek medical attention. So they designed a system that would notify you when an ACS event may be imminent. 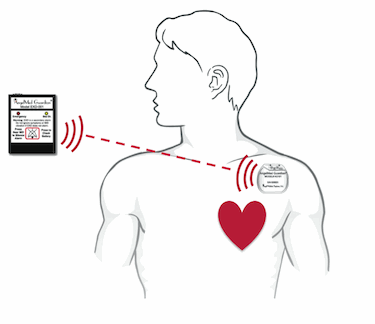 The Guardian System includes a cardiac monitoring and alerting device that is implanted in a manner similar to that of a pacemaker. Unlike a pacemaker, the Guardian monitors your heart’s electrical signal 24 hours a day, 7 days a week. It examines the heart signal for a rapid changes that occur during a resting heart rate (known as supply side ischemia) and which may indicate that your heart muscle is not getting enough oxygen. The system can detect ACS events even when a person has no symptoms or has symptoms that are not typical. When the Guardian detects a potential ACS event, it vibrates inside your chest, alerting you that you need to take action. In addition to the vibration, it communicates with a pager-sized device that both beeps and flashes, letting you know that you need to either call your doctor or 911. Once you arrive at the hospital, your doctor can wirelessly retrieve a history of information collected by the Guardian. This information can help to inform the best course of action in providing an appropriate treatment pathway. For more information and to see if the Guardian is right for you click here. For more information for Healthcare Professionals click here.